Ireland finish in 6th place at World Indoors! 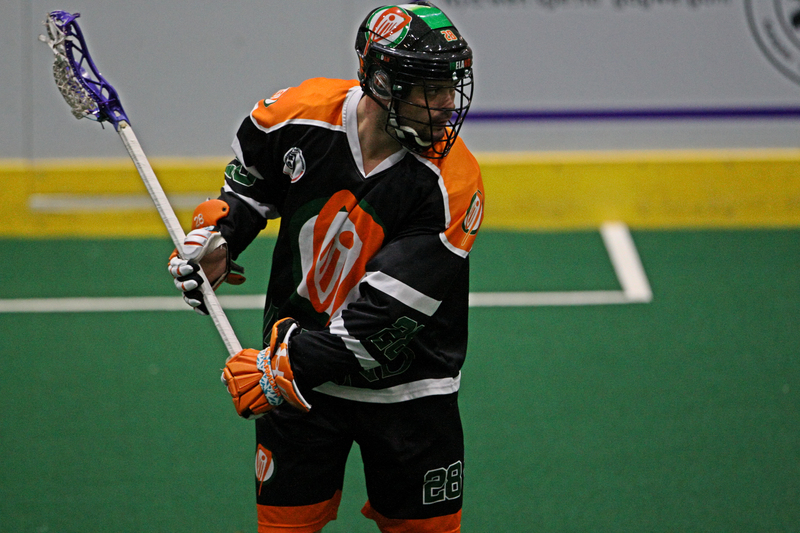 The Men’s Indoor National Team completed its World Indoor Lacrosse Championships campaign with a narrow 12-14 loss against England to finish in 6th place in the tournament. This campaign was hugely successful for the team, where it notched wins against Germany and Serbia, as well as Australia and the Czech Republic, both of which were ranked higher than the Irish team going into the tournament. 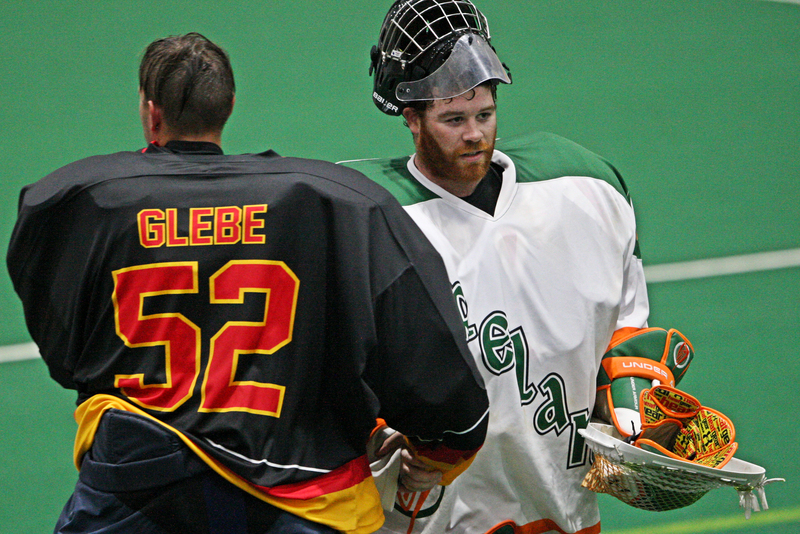 The win against the Czech Republic in particular was the first time an Irish national team has beaten a ‘blue division’ team in any major competition, and it couldn’t have been more exciting with indoor team founder and national team stalwart Sean Gibson scoring the winning goal with less than a minute remaining in the game. The team fell short on two occasions against a strong Israel team, and suffered a bad loss against the USA , and so finished the tournament with 4 wins and 4 losses. Added to the team’s accomplishments were a number of individual player accomplishments. 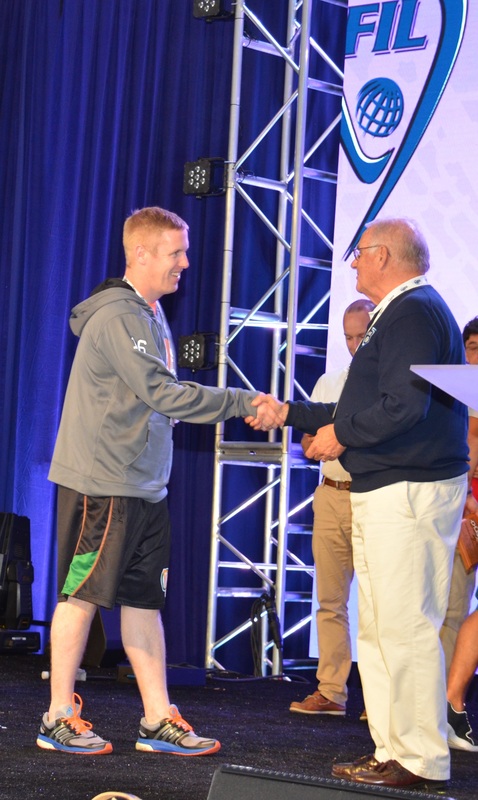 Three players from the Irish team were selected to the FIL President’s Team. 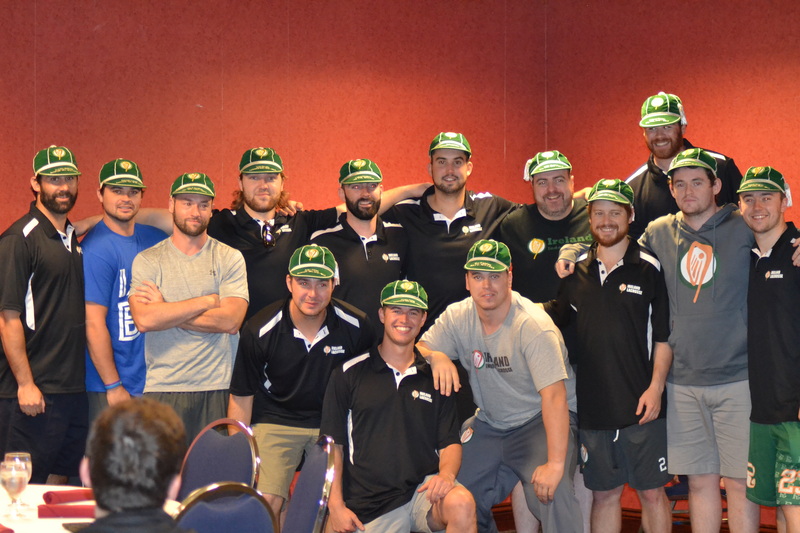 President’s Team honours are awarded to the most outstanding players in all divisions except the blue (top) division. These were Mike Cregan (Goaltender), Stephen Keogh (Forward) and Andrew McBride (Defense). 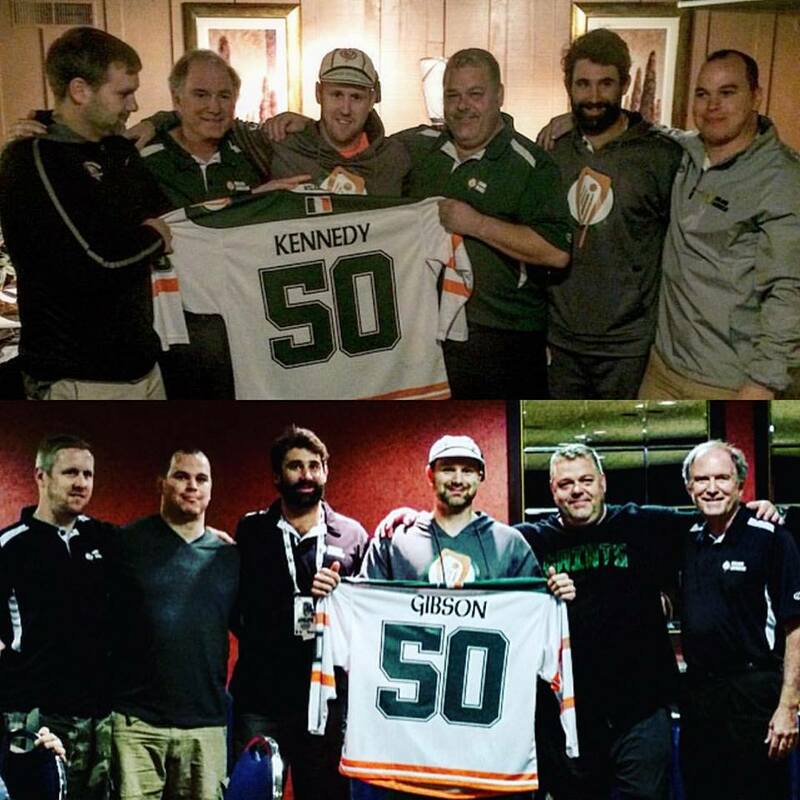 Sean Gibson and Mike Kennedy also reached a major milestone during the event when both hit 50 caps (appearances) for Ireland and were recognised in a special ceremony. All new players to the Irish national team also received their first cap in a similar ceremony. 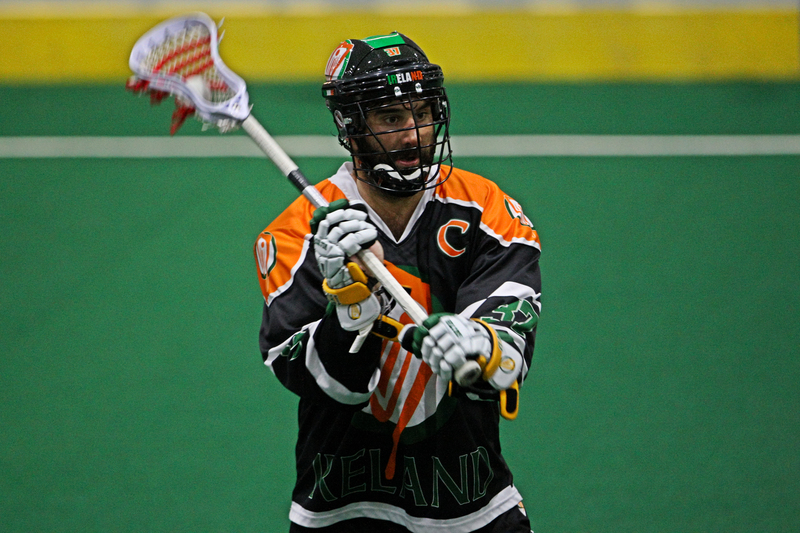 In addition, Mike Kennedy received the FIL Spirit of Lacrosse Award which is given to a representative of each participating country who embodies the spirit of the game by developing and promoting it in their respect country. Congratulations to the 2015 Irish indoor team on these accomplishments, and we look forward already to the 2017 European Indoor Championships!